Loved your Dance Marathon experience? Apply to be a member of the 2019-2020 Central Planning Team (CPT). Applications for Assistant Director and Director positions are available starting Sunday, April 7 and due no later than Friday, April 26 at 12:00pm. 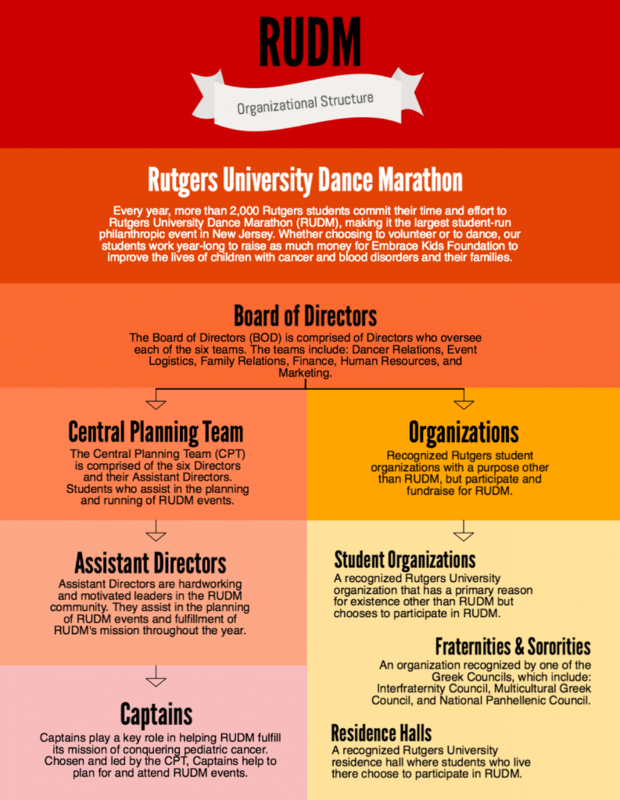 Learn more about the responsibilities for each of Dance Marathon’s six teams and learn what Directors and Assistant Directors do and their expectations and responsibilities for RUDM 2020. Be sure to follow us on all platforms for updated information about details, news, and events!